Can I get money for my hearing loss under Pennsylvania Workers’ Compensation Law? How do I know what percent hearing loss qualifies me for Workers’ Compensation? The Pennsylvania Workers’ Compensation Act has adopted the Fourth Edition of the AMA’s Guide to the Evaluation of Permanent Impairment to calculate percent hearing loss, which lays out a particular formula a doctor must use when making his or her calculations. Oddly, this isn’t the most recent edition that many doctors use in a clinical setting to assess hearing loss. When an injured worker calls our Erie, PA hearing loss lawyer, we set up a medical examination with a qualified ENT (Otolaryngologist) and an Audiologist who is familiar with the Fourth Edition of the AMA to render an opinion as to if your hearing loss is caused by your job and, if so, what percent it is. Thee doctors will take audiometry readings and write special reports that we can use in court. If the damage to your hearing is binaural and in excess of ten percent, we can help make a claim and fight for workers’ compensation benefits. Will Workers’ Compensation Pay for my Hearing Aids? An injured worker in Pennsylvania is entitled to have his or her hearing aids fully paid for by Workers’ Compensation. The problem, of course, is proving your hearing loss is related to work. It is uncommon for an insurance company to simply “take your word for it” and pay for your hearing aids without a fight. That’s why it’s so important to get a lawyer involved immediately if you know or suspect your work might have caused damage to your hearing. Can I file a Workers’ Compensation Hearing Loss Claim after I retire? Although the Pennsylvania Workers’ Compensation Act requires you to report your injury to your employer quickly (normally within 120 days) and then requires you to make a claim within three years of the date of injury, it can be difficult to judge when the timer starts when it comes to hearing loss claims. Even if you’ve already retired, you should contact our Erie, PA Workers’ Compensation lawyers immediately to make a claim for hearing loss. We represent workers with workers’ compensation claims throughout Central, Western, Northwestern, and Southwestern Pennsylvania from our offices in Erie, PA, and Smethport, PA. As always, our consultations our free and we do not charge an hourly fee. 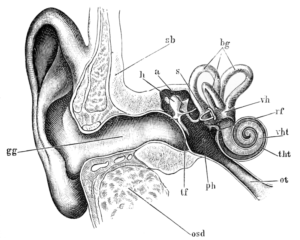 How do I make a Hearing Loss Claim? If you have been working at a job where you have been exposed to loud noise or machinery for a prolonged period of time, the best way to make a hearing loss claim is to contact one of our Pennsylvania Workers’ Compensation lawyers immediately at 814-452-6232. We will put the insurance company on notice, ensure you’ve receive the appropriate testing to prove your case under the law, and we will help fight for your compensation. Our consultations are free and we don’t charge a fee unless we get you compensation.